The sound of leaves crunching underfoot. Bright darts of sunlight dancing on fiery trees. 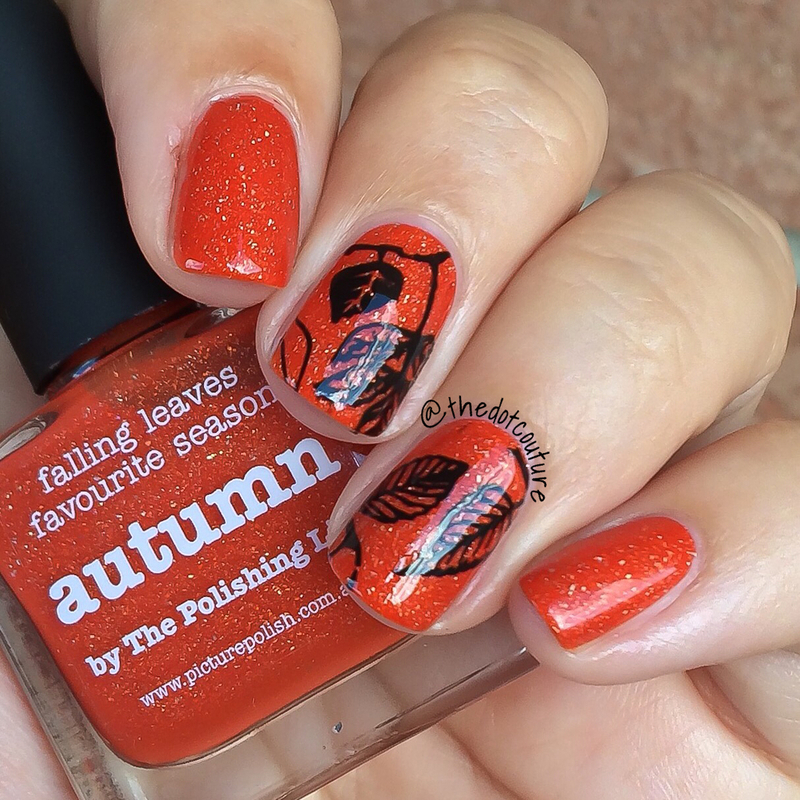 Crisp apples and bright pumpkins everywhere….too soon?? I know I know, it’s July. Far too early to be thinking about fall you say. Well this gal disagrees! Autumn is my absolute favourite season. Sweater weather. Snuggly nights in front of the fireplace. Warm and fuzzy boots. And of course – orange nails!!!!!! 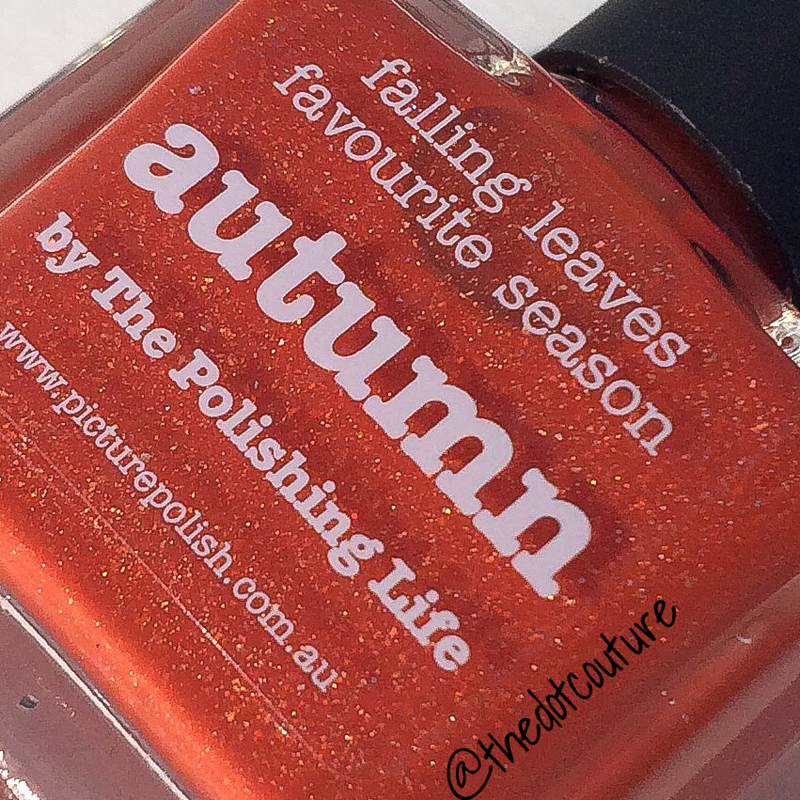 When I saw this gorgeous orange polish by the Australian maker piCture pOlish (perfectly named Autumn), I knew it had to be mine! Orange is my favourite colour after all! 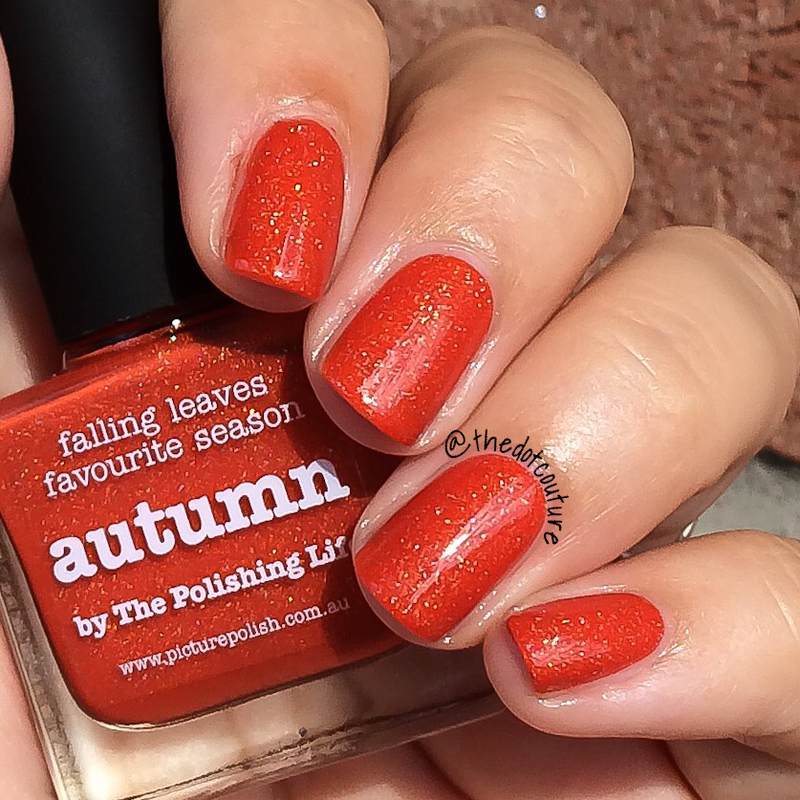 Autumn is a 5-free burnt orange jelly scattered holo and is a polish collaberation with The Polishing Life. Warning – pic heavy post after the jump!!!! 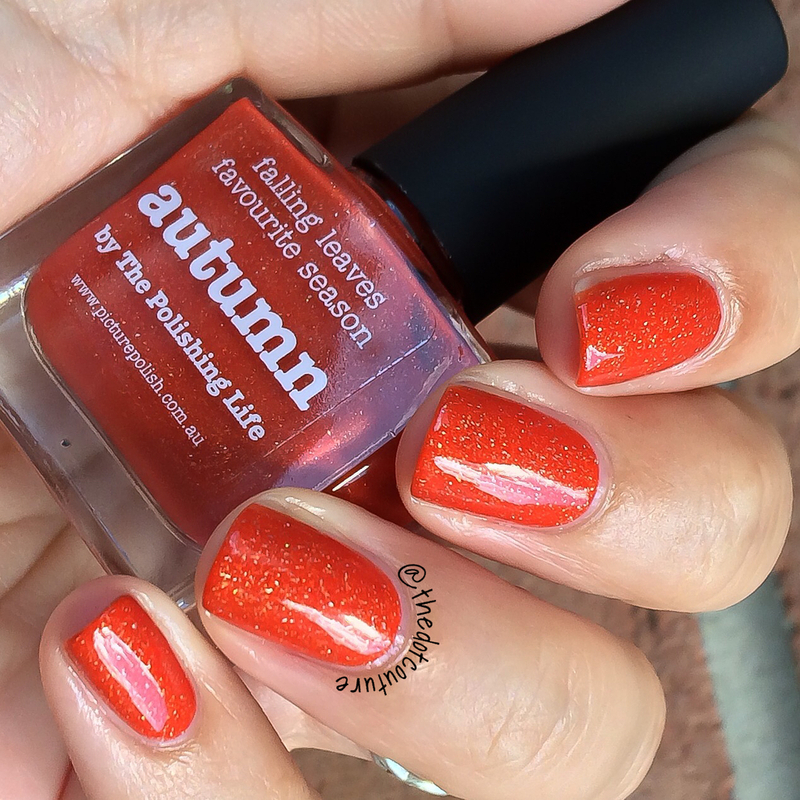 This is 2 coats of Autumn above. Like every piCture pOlish I’ve ever tried, it applies like a dream. It dried quickly and to a smooth shiny finish. The jelly base gives it that nice squishy look only jelly polishes have, and allows the scattered holo particles to sort of float at various levels throughout the polish, giving it beautiful dimension and depth on your nails. As far as polish bucket lists go, this is pretty much it for me. 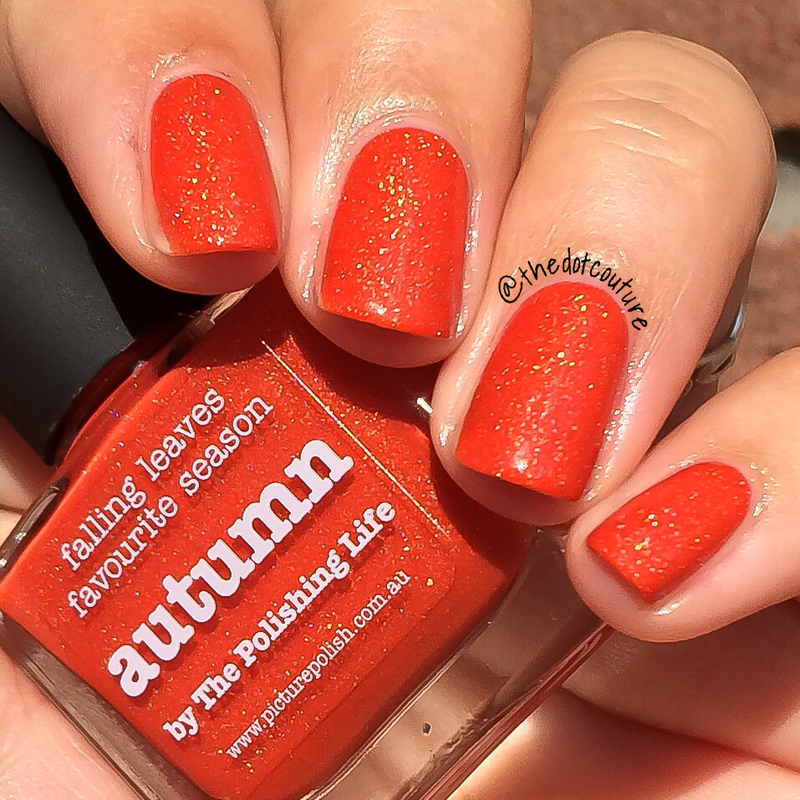 I wish there were more interesting orange polishes like this out there! The burnt aspect of this orange would make this shade wearable across many skin tones and the glorious scattered holo will distract everyone around you. For me, this is a year-round polish for sure. 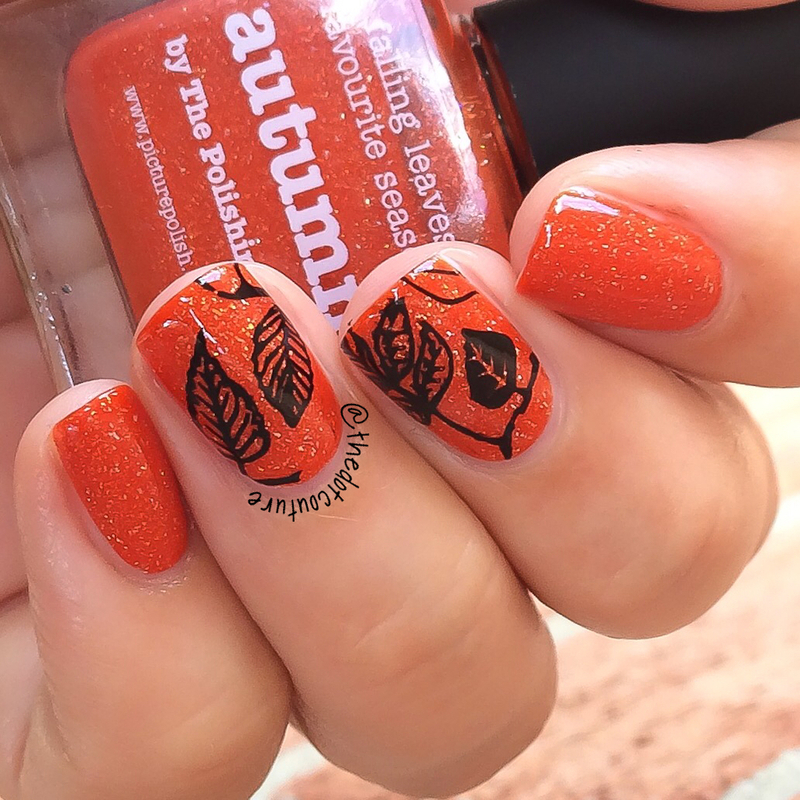 However fall IS just around the corner and I think this would be a fantastic polish staple for the autumn/Halloween/Thanksgiving season!!! I bought mine at Nail Polish Canada but you can buy directly from piCture pOlish (or find a local stockist HERE). Thanks for stopping by! Don’t forget to check me out on Instagram: @thedotcouture and Twitter @thedotcouture. Until next time, happy painting!!! Yes, this was made for you, for sure and your swatches are gorgeous! 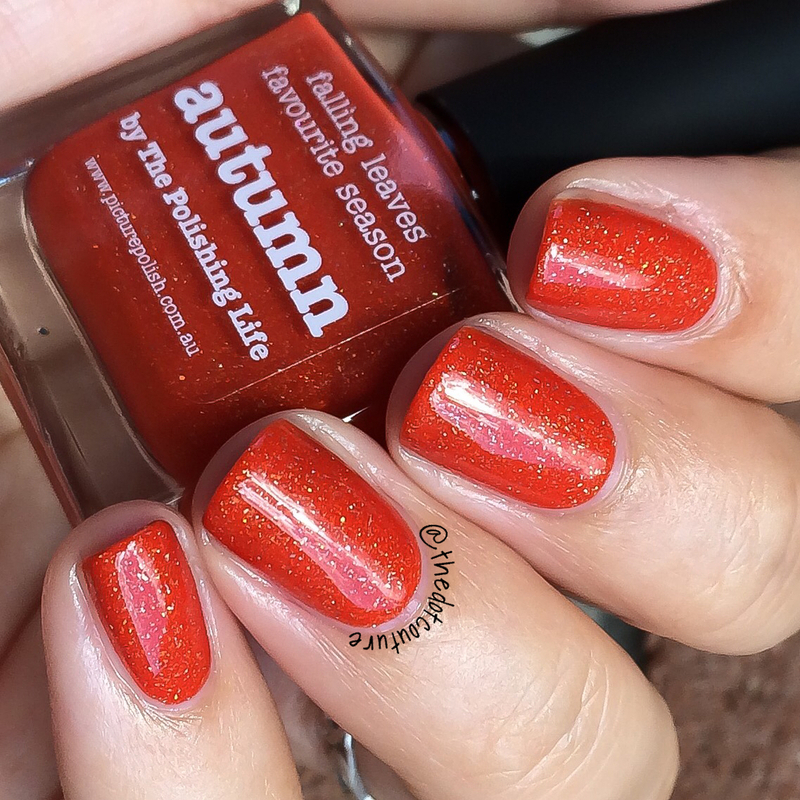 I’m generally not a huge fan of orange polish, but I love to wear it in the fall and this one is a perfect example of how to do orange right. I may have to put on my frankenpolish hat and see if I can work up a plain creme this shade. I’m crossing my fingers!! Haha!!! They definitely did orange well!! That is a gorgeous color!! I am so looking forward to fall too! That’s such a gorgeous orange!